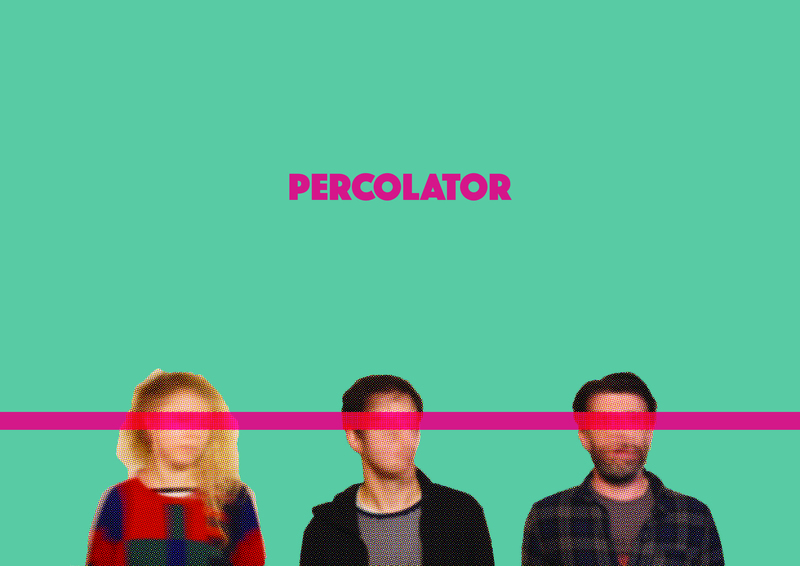 Percolator are a 3 piece band formed in 2009 by former members of Dae Kim. 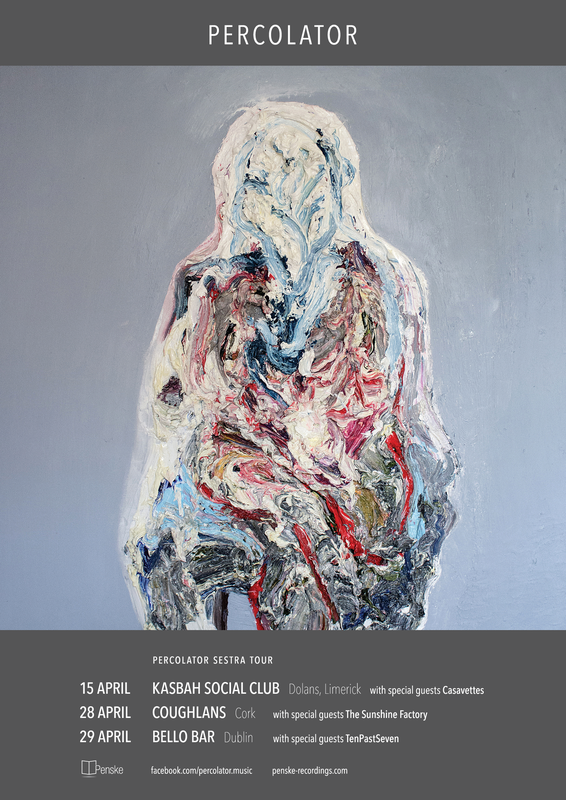 Since 2012, the lineup has consisted of founding members Ian Chestnutt (guitarist, singer) and Eleanor Myler (drummer, singer), with former Katie Kim, Ilya K bassist, John ‘Spud’ Murphy. 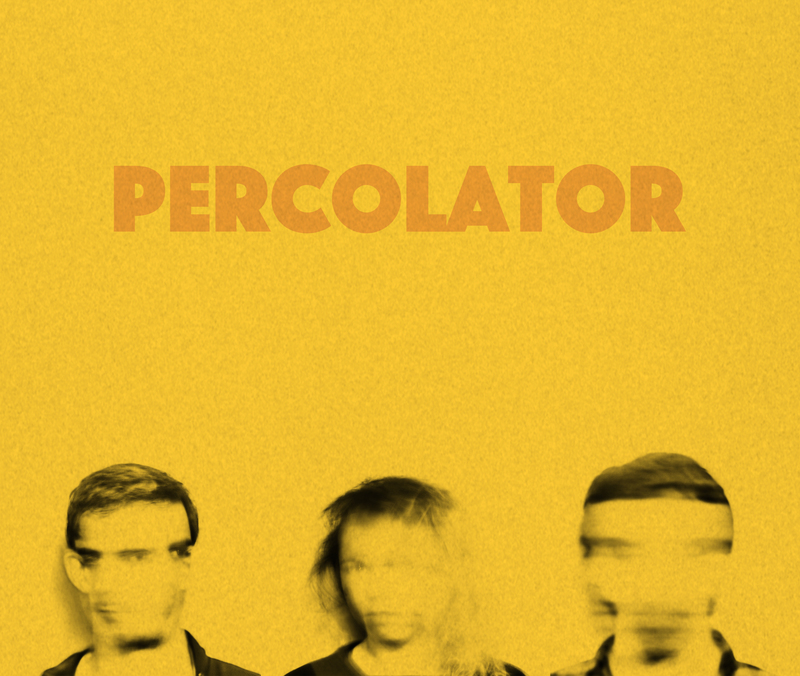 Their diverse sound draws influences from krautrock, shoegaze, electronic music, and progressive rock. The band have produced a string of releases including Flicker (2009), Yellow Fire (2011), Little Demon (2013) and Law & Order (2016) and have played support to several notable acts including Michael Rother (NEU! 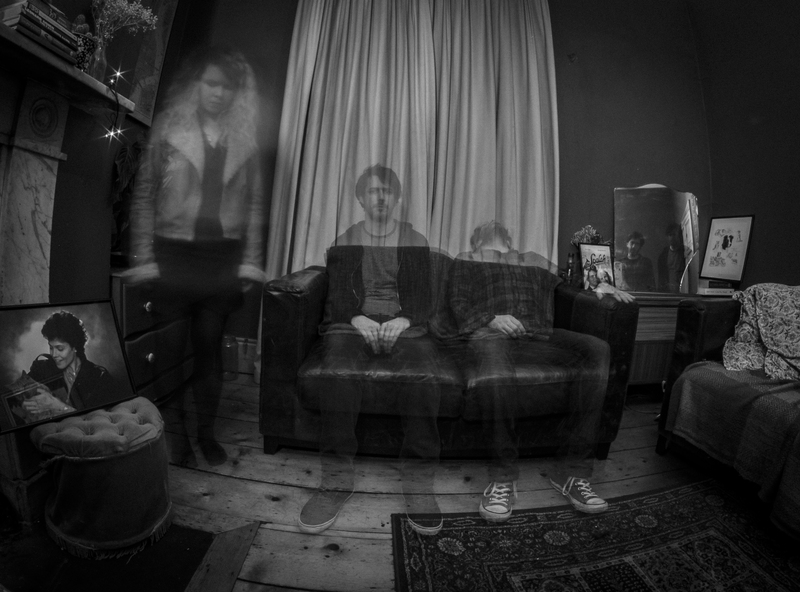 ), A Place To Bury Strangers, Deerhoof and Charles Hayward (This Heat). 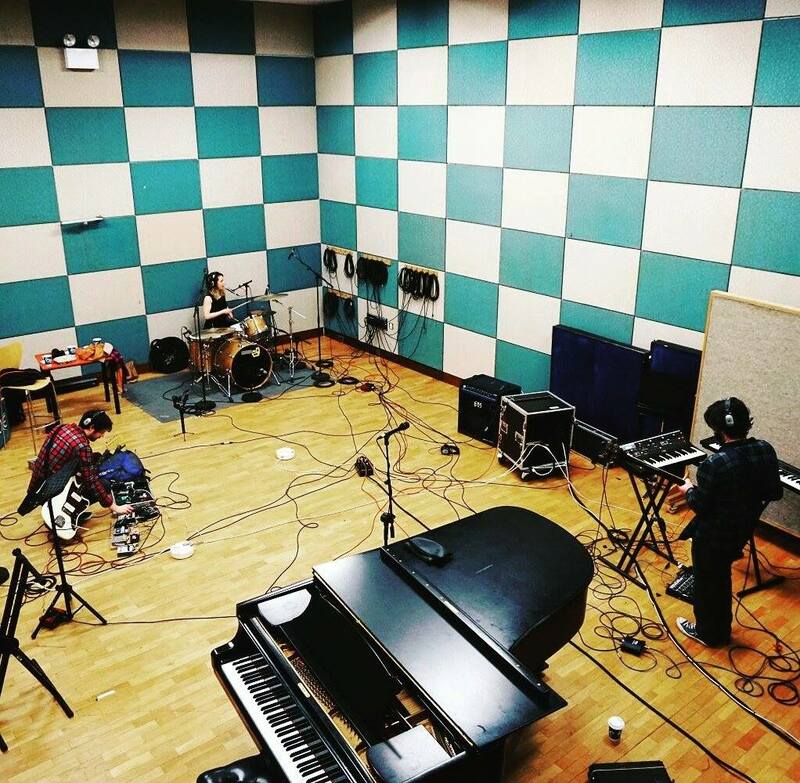 The trio are set to tour Europe this summer to support the release of the their debut album ‘Sestra’. 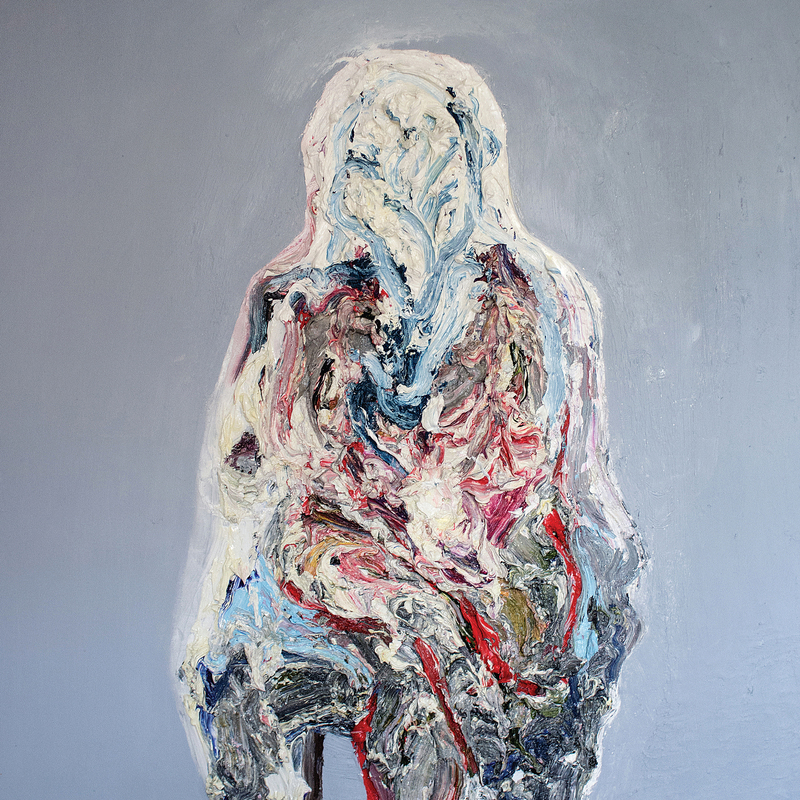 The record’s mixture of melody and noise it is occasionally abrasive but rarely harsh. Taking some cues from bands such as My Bloody Valentine, Stereolab and the Creation/ Cheree/ Slumberland/ Sarah Records stables, their music comprises propulsive rhythms and gauzy synthetic textures, along with guitar work that is both muscular and delicate.